I am fairly sure that this is the same house as the one on the postcard. 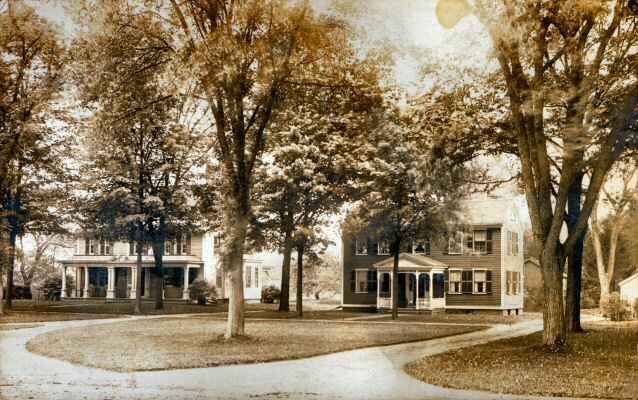 The house to the left does not appear to be standing anymore, since that is where the Storrs library now sits. It may have been moved somewhere in the area. Miss Annie B. Bacon 50 Weston Street Waltham, Mass.